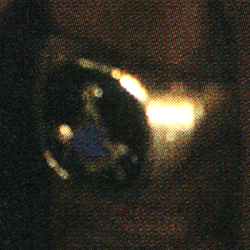 On 2 June 2008, when Charles Ommanney's photograph appeared in Newsweek magazine, the conspiracy theorists believed they had their proof.8 But, while it is true that one of the unidentified hands wears a masonic ring, there is no reason to conclude that the hands were Obama's. Neither the Grand Lodge of Illinois nor the Prince Hall Grand Lodge of Illinois have any record that Obama was made a freemason. Obama has never said that he was a freemason. There are no photographs of him in masonic regalia. Who should you believe? On the one hand you have the claims of two anonymous online posters and the unknown author of an obviously fraudulent text, and on the other hand you have the denials of two established organizations that would proudly claim the President of the United States as a member, if it were true. 1. 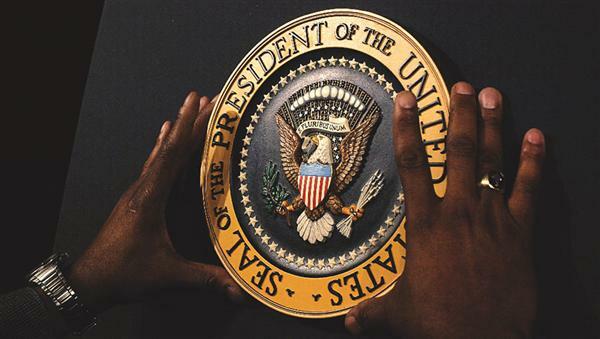 Image from "In Hand: The president's official seal is set" Evan Thomas, Newsweek magazine, 2 June 2008, pp. 22,23. 2. abovetopsecret.com Barack Obama is he a member ? Topic started on 13-2-2007 @ 06:23 AM by OldBoy. "My source is having sat in open Lodge with Brother Obama." reply posted on 5-3-2007 @ 02:56 PM by PrinceHall06. 4. See: cephas-library.com; stormfront.org ; and endtimeschristianity.com which concluded that since one forum poster to my.barackobama.com was a member of the Prince Hall Masonic Family, this proved Obama was also a freemason. 5. Jason Clayworth, "Obama criticizes opponents' Iraq votes" 28 December 2007 : Des Moines Register, Des Moines, Iowa. p. B. 4. desmoinesregister.com.